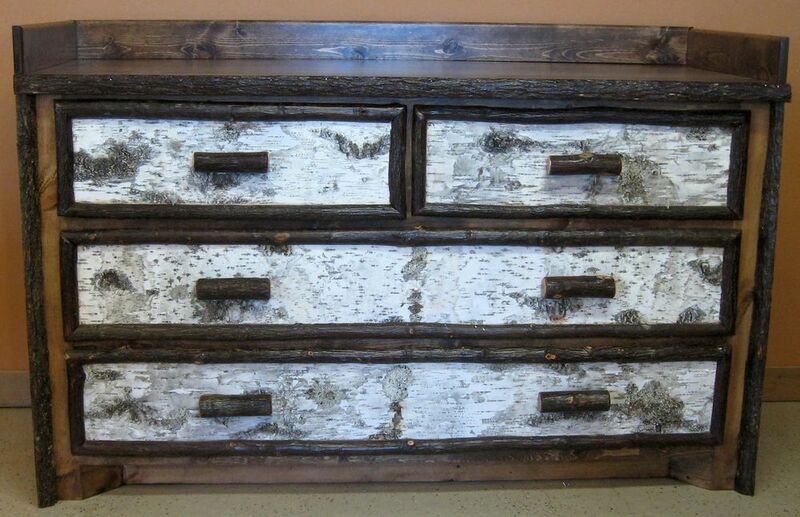 Birch Bark and twig dressers with pine top and sides. Our standard dresser size for this style measures 20 x 48 x 32 high. Other sizes can be made upon customer request for custom specifications. 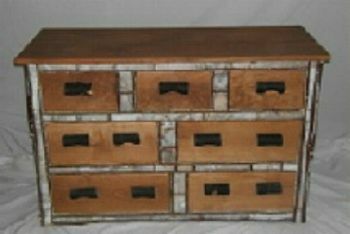 These dressers can be made with birch bark on the drawer fronts, or with pine drawer fronts and birch bark face frame, as pictured. 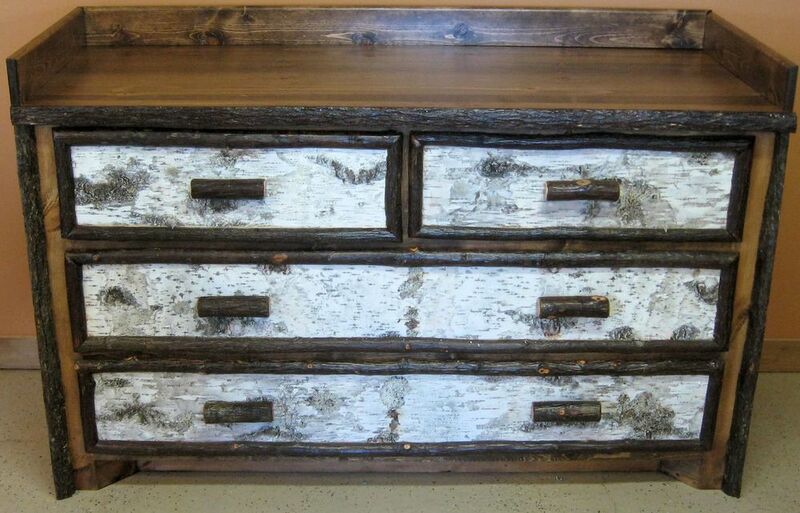 We also use hickory twig pulls on these dressers, however, any type of pull that you prefer can easily be substituted. Feel free to inquire about any custom design and size that you are interested in having quoted!